Josh has been at it again. 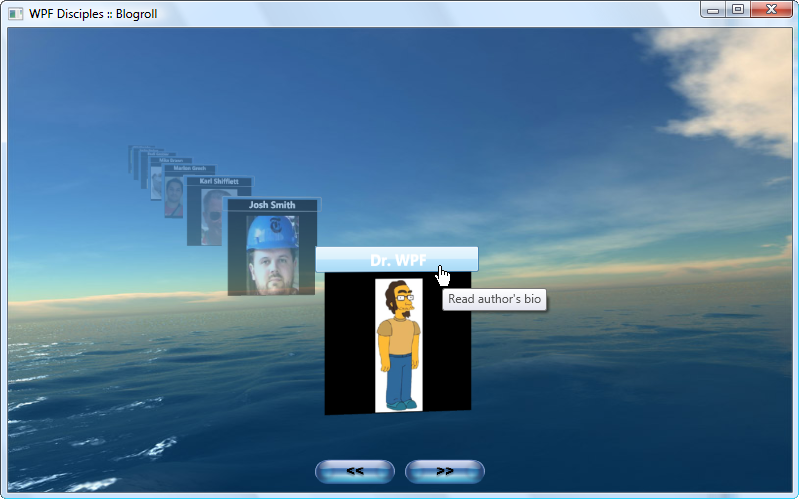 This time he took all of the WPF Disciple member bio’s and turned it into an interactive 3D blogroll! Check it out here.